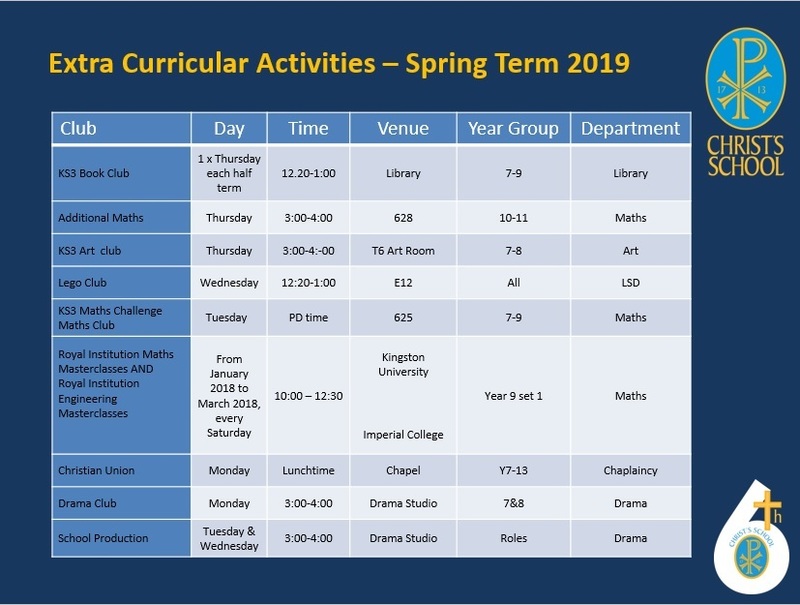 Here at Christ’s School we have a termly offering of a variety of clubs and activities. Our aim is that every student at Christ’s partakes in at least one school based extra-curricular activity across the year. We want every child to be more than just a set of exam results, and we try to ensure that our plethora of activities interests all students. 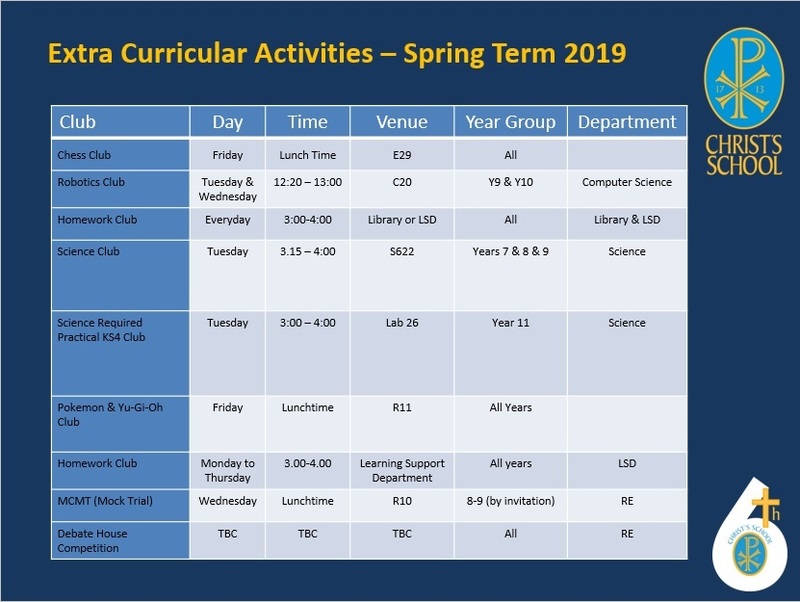 The activities offered for Spring term are tabled below. Please note this excludes PE & Music opportunities which have their own programme of activities. If you have any queries please feel free to contact the department which oversee the activity directly.